The Longhouse can be reserved for conferences, workshops, demonstrations, film screenings, performances, lectures, cultural offerings, family events, summer camps and beyond. State of the art A/V equipment is available, as well as a catering kitchen. 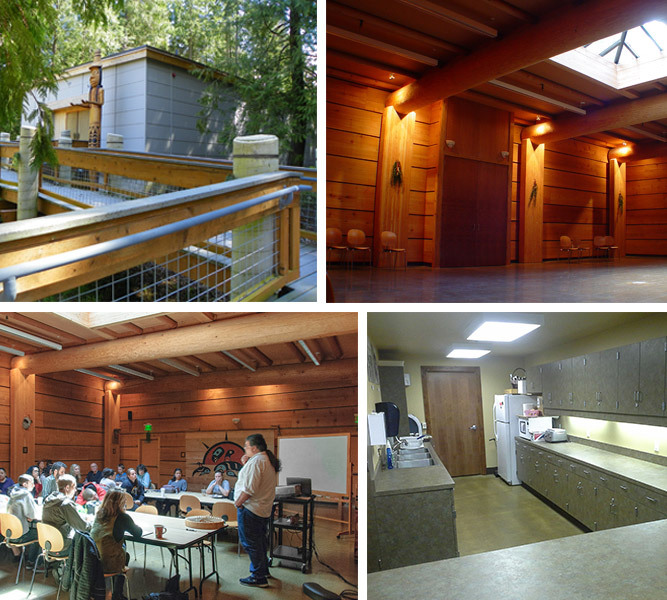 To reserve the Longhouse for your event or occasion, please contact room.info@pencol.edu or call (360) 452-9277 or toll free at 1 (877) 452-9277.